The hemi walker, also referred to as the side-stepper or one-handed walker, assists ambulatory people with limited mobility. 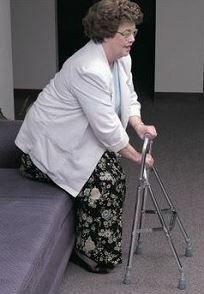 Since the hemi walker is a lightweight device, it is easy to maneuver and lift, even with one hand. 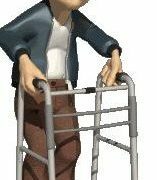 Since a hemi walker is a hybrid between a cane and a walker, it provides more support than a cane but is more lightweight than a standard medical walker. 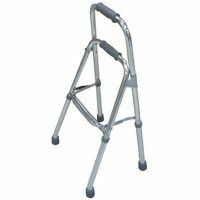 Constructed from a lightweight material such as aluminum, the hemi walker has four legs with a bar across the top at hip level. 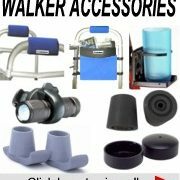 The hemi walker’s feet are equipped with rubber tips, which provides excellent traction. The hemi walker does not roll–instead, you must pick up the walker to move it in the desired direction. Therefore, you need upper body strength and coordination skills to effectively use the hemi walker. 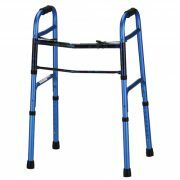 Unlike a standard medical walker, a hemi walker is designed for use at the side of your body, rather than the front.